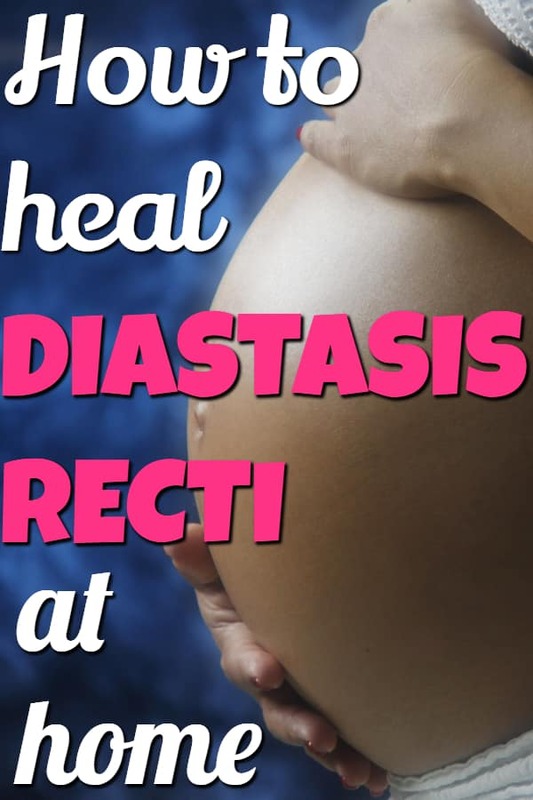 And despite the scary stuff you might have read in Facebook groups for postpartum moms, surgery isn’t usually required to fix diastasis recti. I suffered from diastasis recti after giving birth to my first son, so I know firsthand what it’s like. I had back pain, pelvic floor issues and a bulging tummy (even after losing the postpartum weight.) These are all common side effects of diastasis recti. The good news is that even severe diastasis recti can usually be corrected without surgery. I had the regular postpartum weight to lose, which was expected. But what shocked me the most was the weakness I had in my core compared to before I was pregnant. Combine this with pretty intense back pain, a “mom pooch” and a bulging tummy and I was determined to find a diastasis recti workout that would help me heal my condition and restrengthen my core. If you’re struggling with diastasis recti then the Postnatal Fitness Program by Fit2B would be great for you. The program is specifically designed to provide moms with a gentle return to fitness. The program has a specific focus on restrengthening the core, along with getting back into shape after pregnancy and losing any baby weight you might be carrying around.